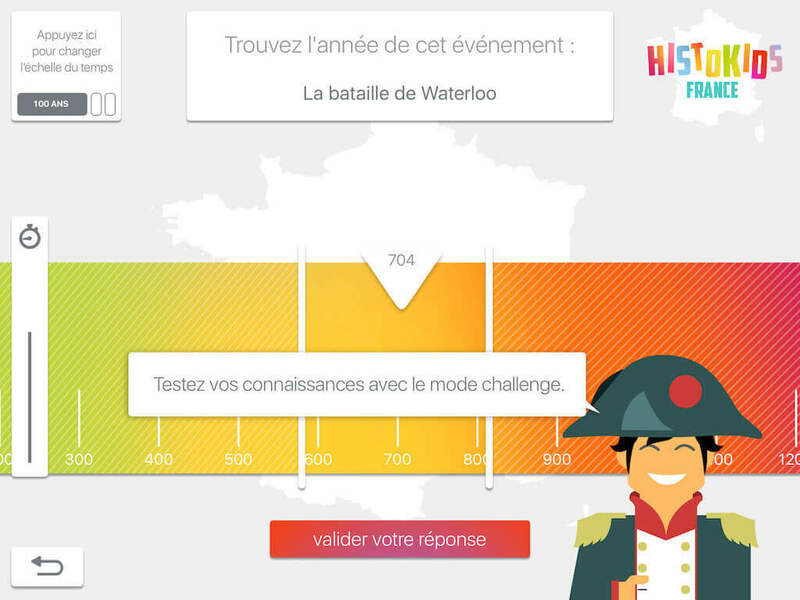 Welcome to HistoKids France: Learning France History is fun. 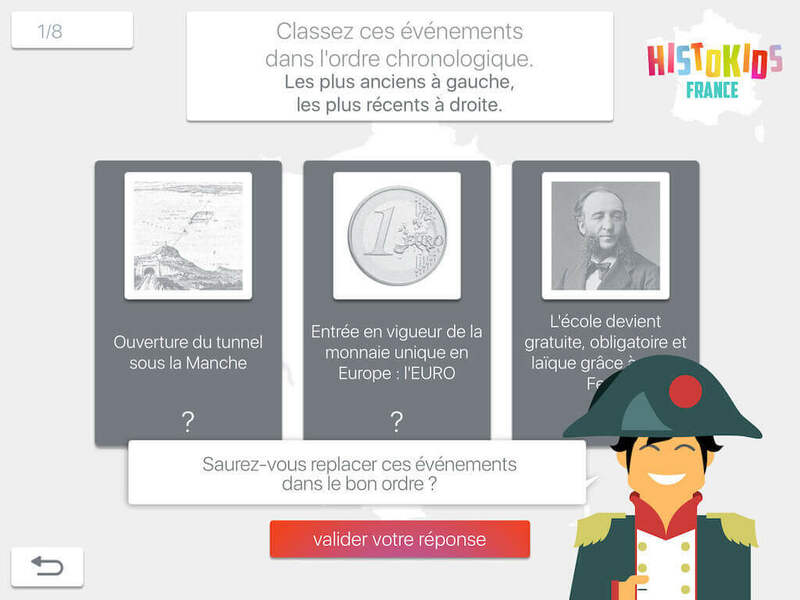 Thanks to HistoKids France you’re gonna discover more than 30 centuries of France History. Kings, famous women, presidents, wars, key events, all are here! For each correct answer you win a troop that can be used to conquer the world, country by country. Goals to achieve will give you more troops. 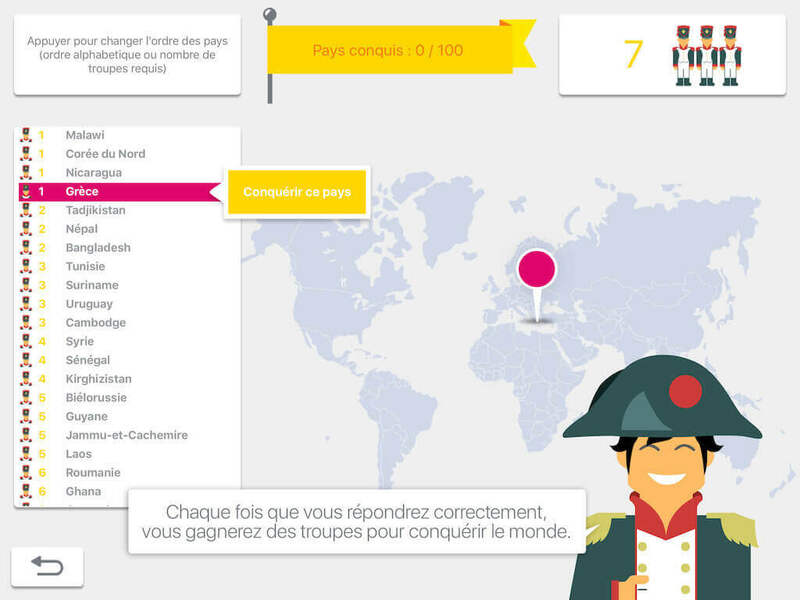 In the adventure mode you’re gonna learn the France History with Napoleon. You’ll find events to sort, quiz to answer and periods to rank. The learning mode allows you to train on all themes. 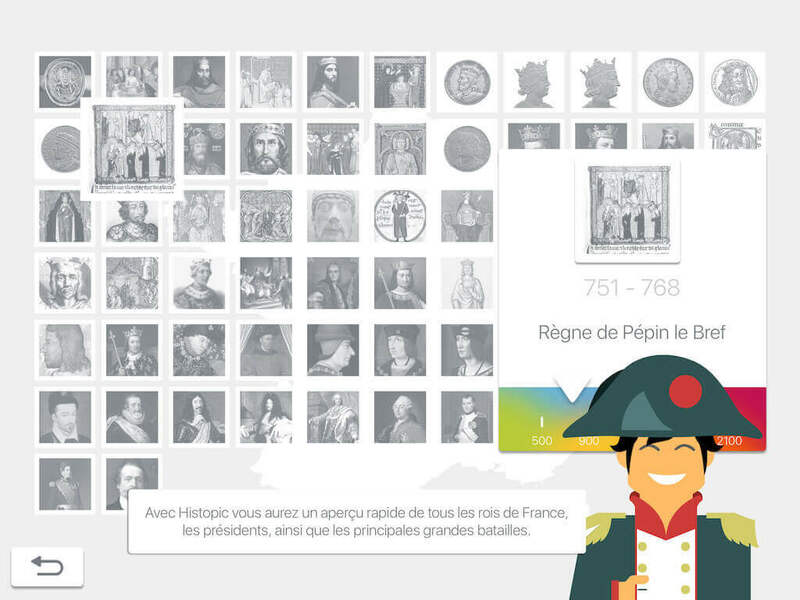 In this mode, you can also see presidents, kings, wars, key events and well-known periods in interactive timelines, you can explore the thumbnails of the kings, presidents and wars on a single screen, to get a whole picture. And, finally, you can print the timelines, the thumbnails and a list of the main events. 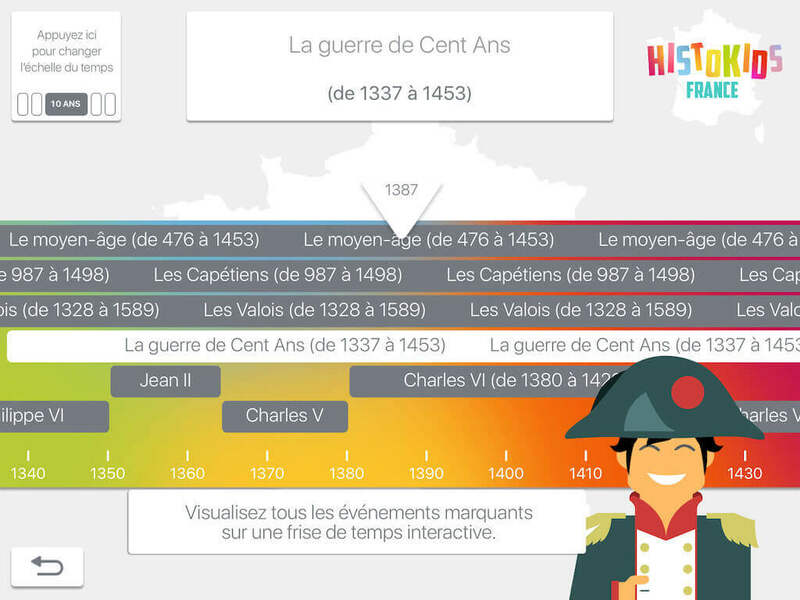 The challenge mode will test your knowledge on key events and periods in a different way: you have to find the right year by putting it on a timeline. The closest you are, more points you get. Each family member can have its own player profile, so you can compare your progress to other ones. All player profiles are saved on iCloud, so one can start a game on iPad and resume it on Apple TV or iPhone!